Come join us for a weekend of fun!! 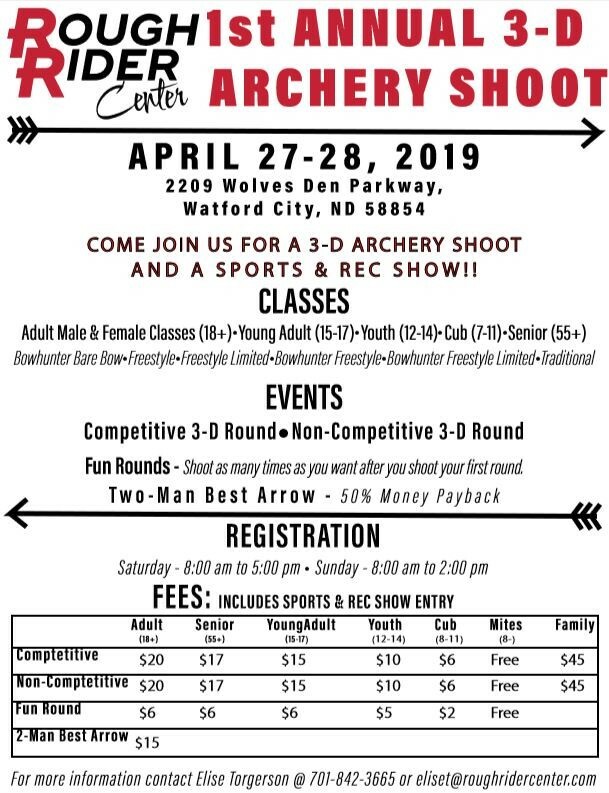 You can register for the Archery Tournament the DAY OF, no need to pre-register. 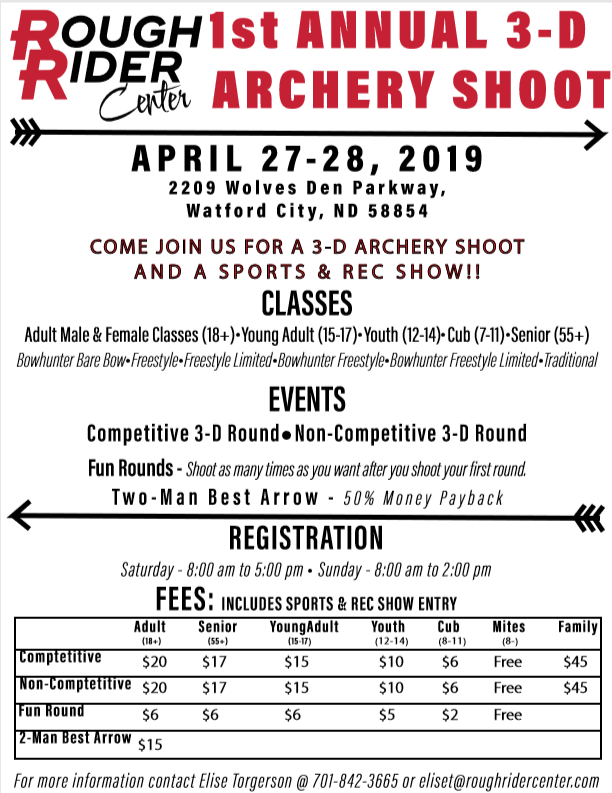 For more information on the Archery Tournament, CLICK HERE! There will also be a Rec & Sports Show this weekend! Entrance fee for the Rec & Sports show is $5/Person. The Rec & Sports show entrance fee is included if you are registered to shoot in the 3-D Archery Tournament. For more information on the Rec & Sports Show, CLICK HERE!